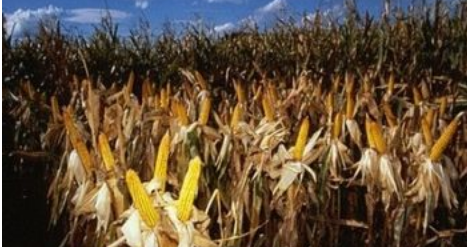 Hein explained that they had taken antibodies from women with a rare condition known as immune infertility, isolated the genes that regulated the manufacture of those infertility antibodies, and, using genetic engineering techniques, had inserted the genes into ordinary corn seeds used to produce corn plants. In this manner, in reality they produced a concealed contraceptive embedded in corn meant for human consumption. “Essentially, the antibodies are attracted to surface receptors on the sperm,” said Hein. “They latch on and make each sperm so heavy it cannot move forward. It just shakes about as if it was doing the lambada.”15 Hein claimed it was a possible solution to world “over-population.” The moral and ethical issues of feeding it to humans in Third World poor countries without their knowing it countries he left out of his remarks. 1. Isn’t GM technology directed beyond third world countries but at all countries in the world, and first and most heavily in the US? 2. Is there a relationship, since the introduction of GM-crops in the US, of how steeply birthrates in the US have fallen? U.S. birthrates overall are at an all time low. Continuing a 12-year decline, the U.S. birth rate has dropped to the lowest level since national data have been available … Bt-corn was introduced in the US in 1996, three years before the dramatic decline began. “Some seven million acres were planted to Bt corn in 1997 with hybrids primarily from Mycogen, Novartis (formerly Ciba), and Northrup King. Mycogen and Novartis both produce pharmaceutical contraceptives. ← Is Big Sis Hunting for the Taliban in your Bedroom? Friday Nov 2nd 2001, when George W Bush was in office? Why is this dredged up in 2011 as if it is new and some how connected to the current government? Look at the date on the linked newspaper article and then wonder? See one last time I just do not get you. If you read forward and read the complete article and check the footnotes you will see the emphasis is on the declining numbers in population growth. The extra article image I included from the news clipping just buttresses the first report that you obviously failed to read all of before blindly posting what I can say are always derogatory comments. The attention to the article is to show how the leftist agenda of eugenics is being fulfilled. But as you are just another faceless nameless mirror cog in the liberal wheel of hell flung from the Bus of Tyranny you cannot see that fact. Hell you cannot even engage a complete article before you spout off with your nonfactual assertions. Tell me did you buy your PHD or did you earn it? at this point one has to ask that question. and also this is quite concerning if this becomes more apparent globally, although it can curb the global population growth the reality from that movie, “The Children of Men” maybe become true for us which of course is quite frightening. The way I read the story this started under Clinton, continued with Bush and now Obama. The way I read it Gates, Rockefeller, and the usual suspects are again the ones to finance our death. In my eyes, “right wing” and “leftists” are one in the same. Fox and MSNBC, the same. The elite have an agenda, they own both sides. When we get upset with one side and vote in the other, the elite are still in charge, nothing changes. Obama is just a bit bolder than others. He feels he can do what he wants and if we complain we are pegged as racists. Many on the right, including GLENN BECK are now pushing Herman Cain. Forget that Beck has spent his career telling us how evil the Federal Reserve is, he is now supporting Cain…who once sat on the board of the federal reserve! Do I want Obama reelected? No! Do I want anyone currently running to take his job? No! For the first time in my life I’m facing the very real chance I will not vote. I’m sick to death of picking the lesser of two evils, because evil is evil. Simple as that. If this is what GM corn does to people’s gonads just think what it does to the brain. Combine neurological dysfunction with drugs and it’s no one people are eating others’ faces off. I know 3 women between the ages of 22 and 25 that were pregnant this year and all 3 lost their babies within 3 months of their pregnancies.